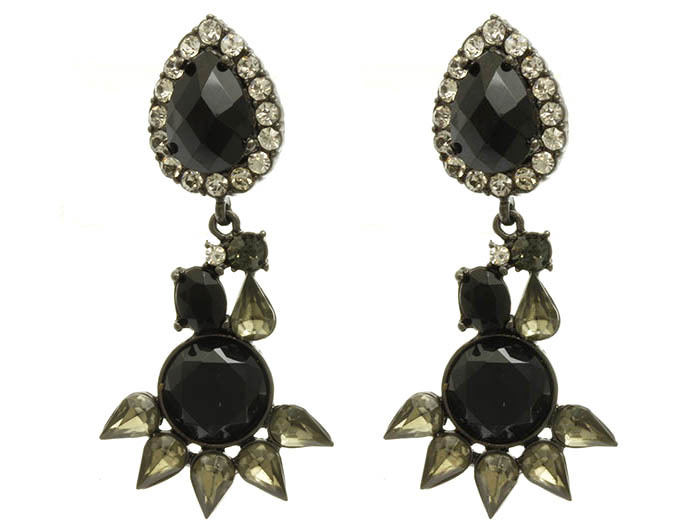 The Isadora earrings are the dark beauty for your jewellery box. A unique Shourouk-inspired design, featuring a pavé crystal noir focal stone that drops into an asymmetrical arrangement of variegated crystals and beads. Wear them with all black everything for full effect.